Once you enter your order, our system handles the rest. We will confirm pricing with the suppliers, get artwork proofs, and generate an invoice and sales order for the client. 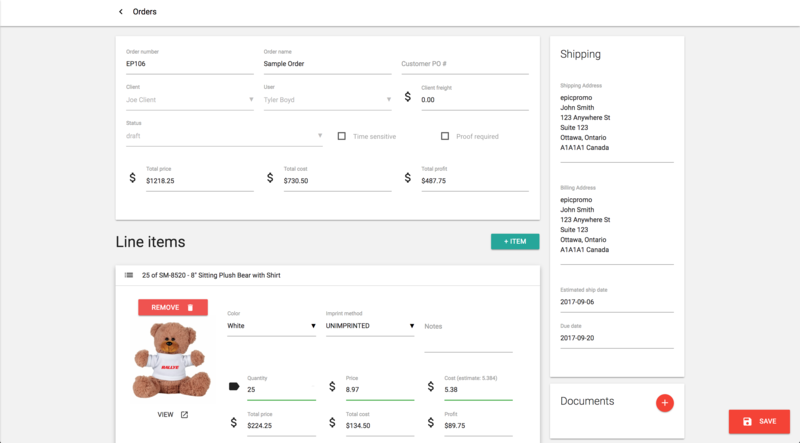 You can track shipments, view supplier bills, and even invoice and charge the client right from the order page. 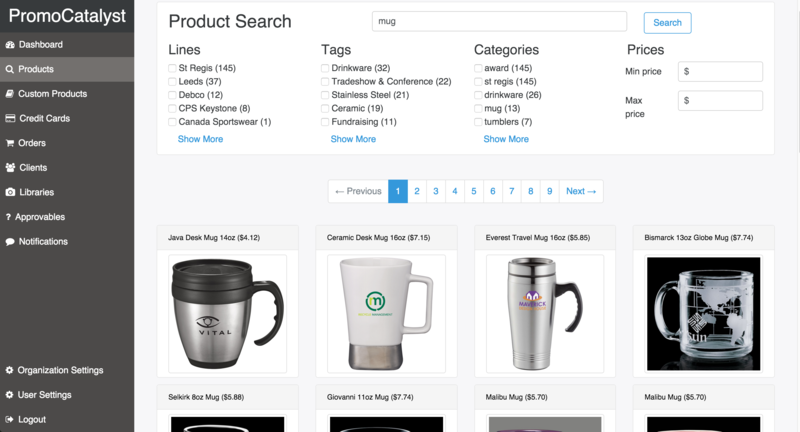 Our unique search engine makes product sourcing efficient and easy. Filter your search by many parameters, from categories to pricing. You will only find products from the best suppliers in North America.